Fox’s proposed takeover of Sky is not in the public interest on grounds of media plurality, the UK’s Competition and Markets Authority (CMA) has said. The CMA has provisionally found that if the deal went ahead as planned, it would give the Murdoch family too much control over news providers in the UK. Disney has agreed to buy most of Fox’s business, so may end up owning Sky. And if the Sky-Fox deal does finally go through, the whole of Sky would be likely to transfer to Disney’s ownership. But the CMA decided that if this happened, the Murdoch Family Trust (MFT)’s control across all media platforms in the UK would give it too much influence over public opinion and the political agenda. However, one of Sky’s senior directors remained was still confident that the regulator’s preliminary decision was not the end of the deal. BBC Business Editor Simon Jack said some investors might favour one of those options – closing the loss-making Sky News – as it might allow shareholders to ask for a higher price from Disney. The Murdoch family’s news outlets are currently consumed by nearly a third of the UK’s population across TV, radio, online and newspapers. That is significantly greater than all other news providers, except the BBC and ITV. In a statement, Fox said it was “disappointed” by the findings. It added: “We will continue to engage with the CMA ahead of the publication of its final report in May. The CMA also concluded that Fox had a “genuine commitment to broadcasting standards in the UK” and was established in the country. It added that Sky also had a good record with “comprehensive and effective policies and procedures” to ensure the quality of its broadcasts. The CMA also considered recent allegations of sexual harassment against Fox News employees in the USA, but provisionally found these were not directly related to the attainment of broadcasting standards. Critics of Rupert Murdoch have never been shy to speak out against him, and the CMA has provided them with a killer quote they will be singing for years to come. In saying that full control of Sky would give the Murdoch Family Trust excessive “influence over public opinion and the political agenda”, the regulator has delighted those who argued against an earlier bid by the Murdochs, nearly seven years ago, which was of course derailed by the phone-hacking inquiry. But this is a curious story, because the CMA findings could prove redundant. They want remedies, mainly around editorial independence for Sky News, which could be provided quite easily by Disney, who may well own Sky in a few months’ time. Disney’s bid for Fox – the parent to Sky – is currently mired in a US regulatory process. If US regulators approve it, many of the concerns the CMA have about this deal will fall away. So it all comes down to whether Disney is committed to Sky – and specifically Sky News which, though a world-class product, is loss-making. 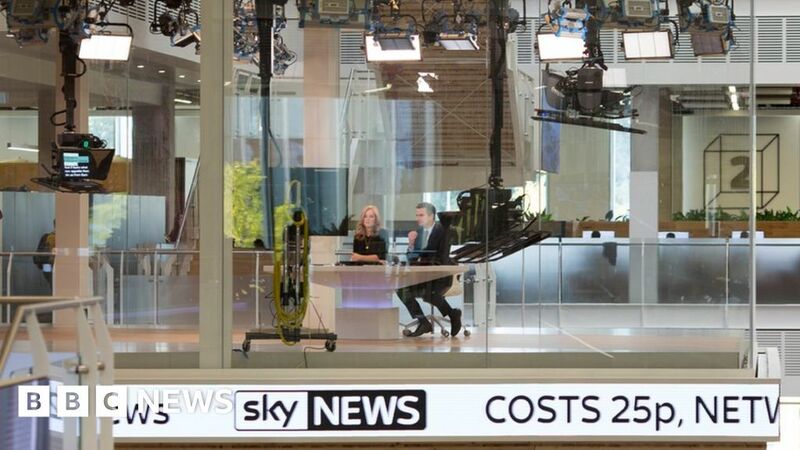 Ironically, the bigger threat to media plurality may come from Disney deciding Sky News is an expensive distraction to their focus on entertainment. For now, that seems unlikely: Bob Iger, the boss of Disney, said he was committed to Sky News. Staff there – and all those who care for a diversity of thought in British media – will hope to hear more from Mr Iger soon. Disney agreed to buy the majority of 21st Century Fox’s business last month, including its 39% stake in Sky. At the time, the BBC understood that the deal would not alter the CMA investigation into Fox’s proposed takeover of Sky. Disney and Fox hope their deal will be completed by the middle of 2019, after the Sky-Fox deal, although it still has to be approved by US regulators. The CMA said that as a result of the timings, it could not consider the Disney deal when assessing the Sky-Fox deal, but did suggest that its implications could be considered among possible remedies to the transaction. Anne Lambert, chairwoman of the CMA’s independent investigation group, said: “Media plurality goes to the heart of our democratic process. The process now moves to a three-week public consultation where the CMA will receive responses to its provisional ruling, a spokesman told the BBC. After that, it will incorporate the responses into a final report, which will be sent to new Culture Secretary Matt Hancock by 1 May. He then has 30 working days to make the final decision as to whether or not the deal will go ahead.